I know this because I saw you, met you and discussed with you personally at former European Shinshu Conferences or other meetings, and I know you are sick and tired to see the Dharma being distorted in such a way as it is done in our days by some English speaking scholars seeking their fame in countries where the Dharma is still at the beginning. I know you often understood nothing from the many complicated discourses presented there. So, I invite you all who share the same aspiration like me, to have courage and speak openly and directly in the support of this cause - to return to the sacred texts of our school, to the sutras and works of our Masters and guide/rely in our presentation of the Dharma only on them and not on everybody's opinions and ideas. Let us stop our precious Dharma who can make everyone attain Buddhahood, no matter their capacities, from being destroyed and become unrecognizable for future generations of followers. Let us act now as responsible disciples of Shakyamuni and Shinran Shonin. "As I reflect, I find that our attainment of shinjin arises from the heart and mind with which Amida Tathagata selected the Vow, and that the clarification of true mind has been taught for us through the skilful works of compassion of the Great Sage, Sakyamuni. But the monks and laity of this latter age and the religious teachers of these times are floundering in concepts of `self-nature' and `mind only,' and they disparage the true realization of enlightenment in the Pure Land way. Or lost in the self-power attitude of meditative and non-meditative practices, they are ignorant of true shinjin, which is diamondlike." "However, priests and laymen of the Declining Age, and masters of these days, sunken in the idea `that one's true nature is Buddha' and `that the Buddha's Pure Land exists in one's mind,' degrade (the belief in) the True Enlightenment in the Pure Land; or, being deluded by the mind of self-power to practice meditative and non-meditative good deeds, they are blind to the Adamantine True Faith." Here, we find Master Shinran speaking directly to the false views infecting the modern Shin Sangha. Clearly, the idea that what was taught by Shakyamuni in the Pure Land sutras is merely a "skilful means" for the ignorant masses who lack the wisdom to see the deeper, esoteric message of the dharma, is an idea that was rejected by Master Shinran. What strikes me here is that only when the pretensions to wisdom of foolish beings are stripped away can we access the true and real mind and heart of Shakyamuni. 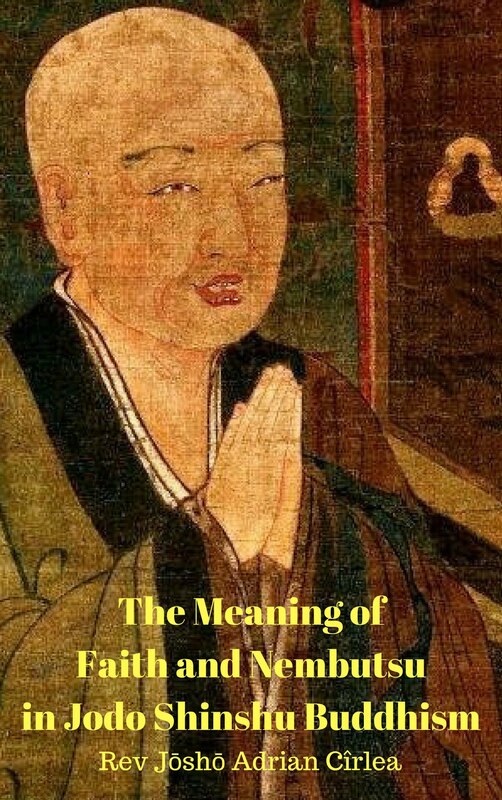 Thanks, Jason, for this outstanding post showing how Master Shinran tackles head on the "mind only" approach to Buddhism - including the idea that the Pure Land is just a state of mind. Unfortunately, someone who is attached to the idea won't accept what you say, even if you point to this passage, or other relevant passages, from the core texts of our school. Because they're not willing - at this point in time - to do the work of LISTENING DEEPLY. Specifically - they are not willing to take the nickel's worth of thoughts and ideas in their head, and set them aside for a time, so that they may inquire honestly within concerning Dharma TRUTH. student Joseph Campbell, or (as happened recently in a blog defending Taitetsu Unno), Christian theologian Paul Tillich. They'll do anything and everything as long as they don't have to let go of their precious pre-conceptions and sit with their questions, humbly awaiting an answer from their innermost being. That is why, for such folks, there's really nothing to be done at this time. That's why I won't debate them - even though they'd love to debate me, or Josho Adrian, in some sort of public forum. There is just no point in debating folks who talk like that. None at all. It would be like trying to debate a blind person about whether or not there was such a thing as the color blue. That's why Master Shinran, speaking with Amida's wisdom, said that we should avoid all scholarly debate. There's just no point in it. Now, please don't think I am being hard on these folks - or rejecting them in any way. I am not. But I recognize that each sentient being has his or her timetable for awakening to the True Teaching of the Pure Land Way. It is one of the five conditions for birth explained to us by Master Rennyo. At that point, Amida and the Buddha team will be able to manifest the great compassion to these folks who are now imprisoned by their doubts. Just as we have been led to lisen - and to listen deeply - so they will be led to listen deeply as well. And then, because they are ready, willing and able to listen deeply, they will hear what they cannot hear right now. 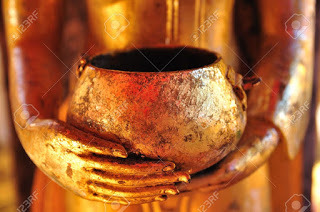 They will hear that Amida is a real and true Buddha of reward body. They will hear that the Pure Land is a real place, and not just a state of consciousness. They will hear that the Larger Sutra is a true record of events that occurred when Shakyamuni Buddha preached one particlar sermon some 2500 years ago on Vulture Peak. They will hear it from WITHIN - as the fundamental Buddha nature which is within each of us bears witness to truth of the words of our Dharma masters. 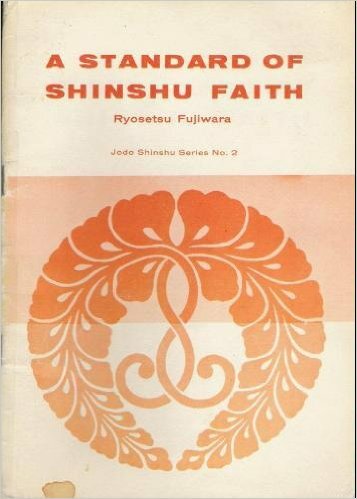 Then - after countless ages of living in darkness - the gift of faith-consciousness called SHINJIN will arise in their hearts and minds, just as it has arisen in ours. Then we will all rejoice together, praising - along with all the other Buddhas in the sentient universe - the great Buddha Amida for who He is, and what He has done. So - in the end - everything will be resolved, every doubter will become a believer, and every endarkened mind will become enlightened. That is what is going to happen. No one can prevent this ultimate destiny from manifesting - even if today these folks are acting in the role of a Dharma destroyer - as these false teachers in the Shin Sangha surely are. But that leaves open the question: What should we do TODAY? 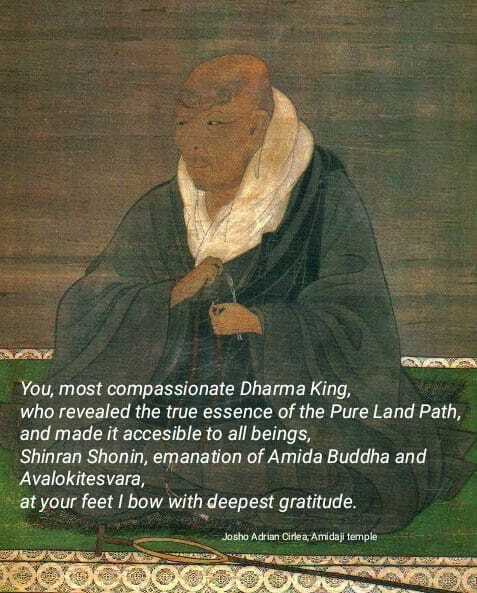 Specifically - for those who have been called by Amida Buddha to be true teachers in the Shin Sangha - whether they are clerics, or scholars or lay people - whether they are men or women - whether they are members of one Shin sect or another, or no particular sect at all - what is OUR duty, in THIS day? For ease of discussion, I've dubbed this question DHARMA DIALOGUE #2, the dialogue about the state of the larger Shin Sangha - in contradistinction to DHARMA DIALOGUE #1, the dialogue about our individual journey to SHINJIN and ultimately, Buddhahood. and I have Dharma dialogue concerning this issue with others on the internet. Frankly, there are some who object to this dialogue. They feel we have no right to dictate to others what they should or should not believe. that they are NOT Shin Buddhism, and that no one who teaches such beliefs can be said to be a true teacher of Shin Buddhism. And the reason we can make such sweeping conclusions with such authority is simply because we've been doing what Jason is also doing right now: We're reading the core texts of our school, and we're allowing the pristine teaching of our Dharma Masters to trump our own small thoughts. YEARS - is the bald truth. The Shin Sangha IS in disarray - and has been in precipitious decline for decades - not because of the Amida-deniers and the Dharma destroyers. Those divergences - and all sorts of other divergences - will ALWAYS be part of the landscape of an endarkened world. It's just one of the countless forms of evil that exists here in Samsara. No - it is not because of the divergences, nor because of their propagators that the Sangha suffers such great loss as it has experienced. Rather, it suffers loss because those who KNOW the truth, and have been given the gift of SHINJIN, are keeping silent, rather than speaking up concerning the false teachers and their false teachings. So - one of my own goals is to encourage this essential Dharma Dialogue along with those who are willing, like Eiken and Adrian, so that others who are called as true teachers would stop being silent, and start speaking up - in local Sanghas, at conferences, in scholarly journals, and on the internet. This is the only way that the larger Shin Sangha will ever emerge from it's current state of disarray. 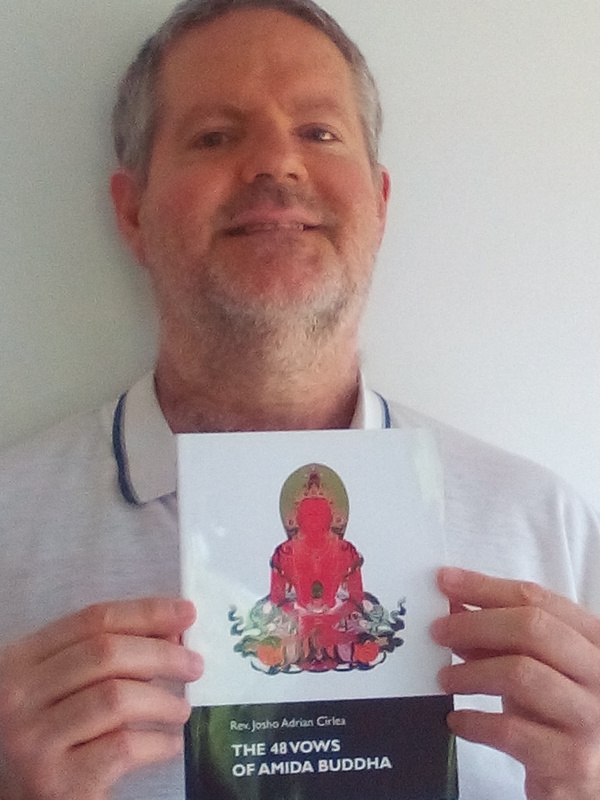 Thanks to Jason, to Richard, to my Dharma mentor Eiken Sensei, to my close Dharma friend Adrian - and to EVERYONE who is willing to listen deeply to the Dharma, and take part in this dialogue, in whatever way. 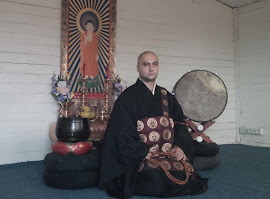 (1) Tokujo Jason Ranek is a Jodo Shinshu follower living in Norway. He received kikyoshiki (confirmation rite) at the last European Shinshu Conference which was held in Bad Reichenchal, Germany, 2008. You can read some of his poems in the section "poems" on this blog. From my opinion, it is natural that people have diverse opinions, even all may come from the same Shinshu Sangha. I have read Rev Unno's book: Rivers of Water, Rivers of Fire. I understand that he is trying to introduce Shinshu to America, where other traditional schools of Buddhism, e.g. Yogacara and Madhyamika are well established. As such, it is understandable that his tone is a little more of the traditional Mahayana or even Zen. I believe that is his "skilful means" in introducing Shinshu to America. I would not so much to say that he is propagating "inverted views", but more of "skilful means". We have to take into account the context the teaching is dispensed. For example, for people who say that Pure Land Buddhism is for the ignorant mass, I strongly disagree, since in the Amitabha Sutra, the Buddha addresses Sariputra, first in wisdom. I believe that we should focus more on introducing Shinshu to more people who have not been exposed to Buddhism, instead of arguing with other Pure Land Buddhists on the "divergent thinking". I am aware that in China, there is at least one group of Chinese Pure Land Buddhists who condemn the Tannisho as heretical. 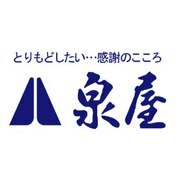 I think there is no point to argue, but to try to introduce Shinshu to other people who are ready. In my country, I believe Shinshu will have a great impact on many people, its focus on the total trust on the grace of Amitabha. Its natural that people have different opinions because we are different people, but is not right to call our own different opinions to be Jodo Shinshu teaching. 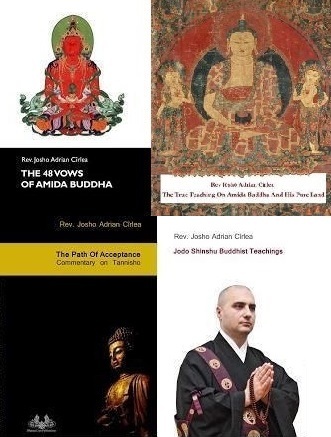 Jodo Shinshu teaching is what Shakyamuni, Shinran, Rennyo and the Masters taught. Jodo Shinshu is the medicine that cures people of birth and death and it was given by Shakyamuni and the Masters to us. Skilful means are methods to transmit the Dharma about Amida in ways that people can easily understand it, but when someone transmits his own opinions that is not skilful means. I am ok with using various ways to make Shinshu Dharma more understandable to all, but in this process the Dharma itself should not be changed, the content should not be changed. For example, I might explain Shinshu teaching to somebody starting from his own personal suffering, a death in the family, or a divorce and from this experience I go on to the truth that suffering is always present and continuous in many states of existence, etc, thus trying to make him want to escape this once and for all, or I start from a joy he has and explaining to him that happiness which depends on causes and conditions is not true happiness, or if I see that he loves his mother very much I will explain Amida to him as a Mother, full of Compassion, etc…. these are examples of skilful means. Skilful means take people from where they really are here and now and from their present state of mind, making them to finally entrust in the real Amida Buddha so that they attain a real Buddhahood in the Pure Land. But to explain Amida in terms of myth, symbol or fictional character is not a skilful mean, it is to distort the teaching. Also you probably know from Mahayana teaching that to say directly or indirectly that Buddhas do not exist is to slander the right Dharma.This is because if Buddhas do not exist there is no hope for sentient beings to escape samsara. What some scholars try to transmit in the international sangha is not Mahayana teaching. And Zen is a different Dharma gate, a gate that relies on emptiness while the Pure Land Path relies on Amida Buddha’s Vows and His saving activities as a transcendental Buddha in sambhogakaya form. These paths should not be mixed, as mixing paths that have different causes leads to confusion for the ordinary practitioner. Shinran never mixed his Shinshu teaching with Zen of Dogen although they were contemporaries. I do not argue with anybody on the Shinshu teaching, I do not like losing precious time with debates, or talking with people that are not opened to the Dharma, but more interested in their own personal views and opinions. I raised my voice because divergences from the Shinshu teaching of our Masters appeared in the international sangha and these divergences will help no one achieve anything. Especially these divergences will not help newcomers to understand the Dharma and receive shinjin (faith). Exposing divergences are not debates or talks for the sake of personal gains. I respect the opinion of that Chinese group who thinks that Tannisho is heretical and I do not argue with them, and you know why? Because they don’t consider themselves to be Jodo Shinshu, but members of another Buddhist school, a different school than us. But some scholars in the international sangha do the contrary, labeling their own opinions and views as being Jodo Shinshu teaching. This is unacceptable for me and it does a great harm to the teaching of our lineage – the lineage of Shinran and Rennyo of whom I am honored to belong to. Buddha addresses Sariputra because he was present there, but this is not so important as the message Shakyamuni transmits not only to him but to all those present and in fact, through Sariputra and other monks to all sentient beings drowned in delusion. And what message Shakyamuni transmits in that sutra? Does He speak about emptiness like in the Heart Sutra? Definitely no! So that message was not especially destined to those of superior wisdom who could understand that “emptiness are phenomena and phenomena are emptiness” or that “there is no ear, no nose, no suffering, nor the end of suffering”, etc But the message that Shakyamuni gave in the Smaller Amida sutra you mentioned, which was a discourse given spontaneously without answering to a question like other sutras, is the joyful description of the beauties of the Pure Land, the witnessing and praise of other Buddhas and the encouragement to say the Name. What superior message, hard to understand is here in this sutra? Sariputra and other monks present there were just vehicles through which the discourses of Shakyamuni about Amida (the same discourses that some smart scholars now deny as being taught by Shakyamuni) had to be transmitted. And it should not be wrongly understood that Pure Land message is not for the wise, too. Nagarjuna and Vasubhandu (the famous exponent of Yogacara teaching) also entrusted to Amida, no matter how wise they were and how many discourses on emptiness or other matters they wrote. Amida makes no discrimination between ignorant or wise, only faith (shinjin) is important. But what in fact means the word “ignorant” that so many people feel aggressed by it? Some may have knowledge while others don’t, some may be well versed in sutras and commentaries while others not. But do all those in the first category also posses the wisdom of the Buddhas, the true wisdom that comes with the attainment of Buddhahood? And if they do not have it, isn’t it right to call them ignorant, too? After all, aren’t we all ignorant masses since none of us attained final Enlightenment? On what basis some scholars dare to modify the Dharma given by Shakyamuni in which the story of Amida is taught? On their own limited wisdom and experience? Did those who modify the Dharma about Amida escaped from ignorance and attained Buddhahood so that they have authority over the scriptures? Outstanding replies, Adrian. Thank you! Master Shinran said that it was inevitable that his Dharma message would be both honored and slandered. Both are happening today. 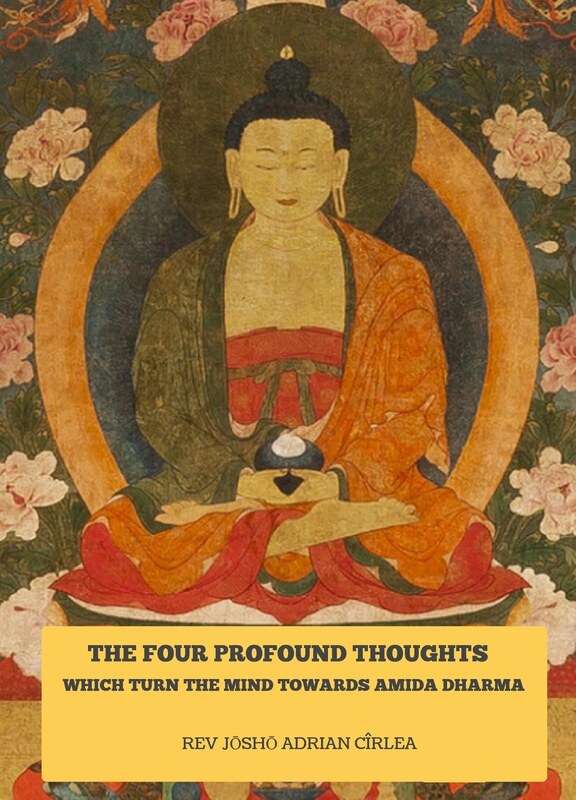 When people hear and understand the True Teaching, as it is, and verify that it is true by listening deeply to the witness of the Buddha within, they joyfully entrust themselves to the real and true Amida Buddha, and receive gift of Amida's own faith-mind conciousness - the gift of SHINJIN. When other people hear and understand the True Teaching, and decide to change it to match their pre-existing thoughts, they end up slandering the Dharma. Perhaps their intent was not to slander the Dharma - but that is the tragic result. When someone who is supposedly a Shinshu Priest, or a Shinshu scholar, and they believe and teach that Amida is not a real Buddha, they are slandering the Dharma. Though this has become widely acceptable in the Shin Sangha today, from Master Shinran's perspective it is as grave an error as a person can make. We are fortunate that we have some priests and scholars who behave as TRUE priests and scholars - who are both teaching the truth and refuting serious errors, just as Master Shinran and Master Rennyo did. - too proud to go through the process of repenting of the false, and clinging to the true at last. Many begin their comments on the Dharma by saying "My opinion is...". Really, who cares? What difference does it make? 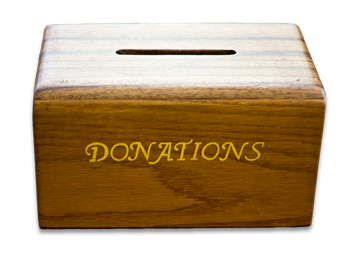 What in your karmic history makes your opinion worthy of broadcasting to the Sangha? When it comes to coming to the end of suffering, and the beginning of true Buddhahood, the only opinions that matter are the opinions of those whose karma it was to be our Dharma masters. They are the ones who have been given the Dharma medicine by Amida Buddha, that can cure our otherwise incurable disease. Your opinions about politics, art, and sports might be fine and dandy, and just as good as anyone else's. Feel free to share them anytime, in the appropriate venue. But your opinions on the Dharma? Simply irrelevant. I'm not interested in your opinions or my opinions either. My opinions can't save me and yours can't save you. The Dharma opinions of Master Shinran, on the other hand, are the ultimate expression of the universal Dharma message of the one Buddha who can save both of us. So it is HIS opinions that are worth listening to, learning, integrating into our mindstreams, and sharing with others...for the sake of all beings everywhere. When it comes to the Dharma, the only people I listen to are those who choose to make the teachings of our Dharma masters the plumb line for what they themselves say. Adrian is such a person. As for those who will not follow that one simple rule, I pay no more attention to them than I do the Pope. Their words are not useful for my terminal situation. Their words will lead me AWAY from Amida's salvation, rather than TOWARDS it.